Blueprints are usually large documents that can’t be scanned on any old machine. They require a special scanner, which a blueprint archival services should have access to. Because replacing a damaged blueprint is often far too costly, having backups is a great idea. But you want your backups to be useable as a real blueprint, so the method of printing may not be as inexpensive as it could be. Large scanners can often also be used as automatic backup tools. The newest scanners are equipped with Internet just like anything else. Straight from the scanner in the blueprint archival services’ office, a digital copy of your blueprint can be uploaded and added to your digital archive. This can be a great way to replace a blueprint altogether; while you use the digital version for changes and project approvals, the standard blueprint can be kept safe in the right type of environment so that it doesn’t deteriorate again. 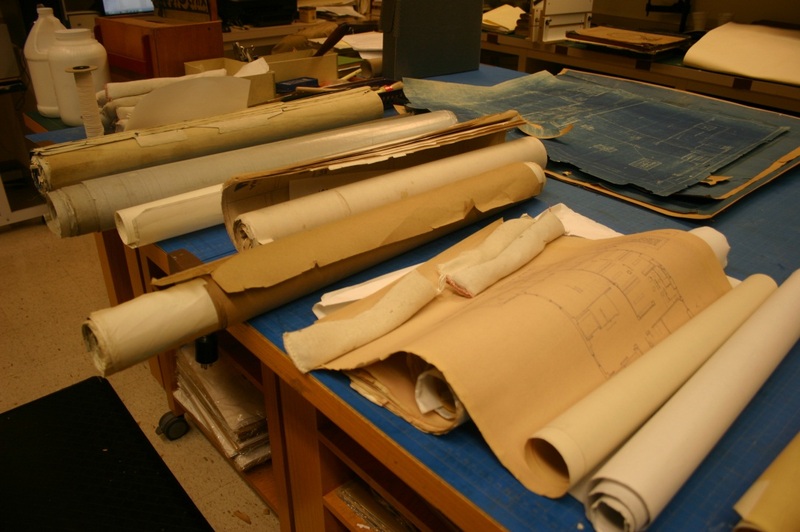 The right type of environment for storing your blueprints with the blueprint archival services, is one that ensures the room is dry and warm. Only acid-free boxes, sleeves, or shelves should be used when storing archived blueprints. Handling these documents should only be done with the use of careful movements and delicate use. Your blueprint archival service will be able to take care of your blueprints properly, keeping them safe, and offering you a digital back up. Any of these services will make it much easier for you to get back to tackling the concerns of building, or gutting a structure. They can also store the blueprints in a place where it will be kept safe from elements and disasters like fire and flood. Choosing the right blueprint archival service will make it easy for you to grow as a designer and please your clients. eRecordsUSA is specialized in providing Blueprint Archival Service / Blueprint Archiving Service / Blueprint Scanning Services. Would you like to receive a free quote to archive your blueprints? Call +1.855.722.6669 or eMail us at info@eRecordsUSA.com. eRecordsUSA offer Blueprint Archival Services in following areas of California, Redwood City, Marin, San Francisco, Silicon Valley, Sunnyvale, San Mateo, Santa Clara, San Jose, Mountain View, East Bay: Fremont, Oakland, Concord, Livermore, Milpitas, Pleasanton, Contra Costa, Alameda, Hayward, San Ramon, Dublin, Napa Valley: Pittsburg, Fairfield, Vallejo, Santa Rosa, Petaluma, Sonoma, Solano & Martinez.